Contact Us – Joe Bidermann Landscaping Inc. Interested in a landscaping work opportunities? Email us your résumé and find out if you have what it takes to make one of the most diverse and satisfying professions your career! Beautiful, original, landscape design inspired by nature. 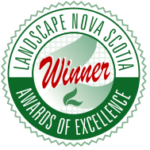 Joe Bidermann Landscaping Design has been creating award-winning outdoors spaces since 1994. We are passionate about exceeding your expectations and invite you to Contact Us about designing your landscaping dream space!